This is such a great quote and photo! The word "dream" is often taken as simply something that happens during your sleep, but we should not let our goals and aspirations be just that. Our dreams in terms of the goals we would like to achieve should never be mistaken for simply a dream we all have when we sleep, but something we aim for and try to obtain while we are awake! Almost always, what stops us from accomplishing our goals is simply ourselves thinking it is too hard. So we should be head-strong as we try to accomplish anything we want to and that if we don't end up accomplishing our dreams, that it is not due to a lack of effort or belief in ourselves! 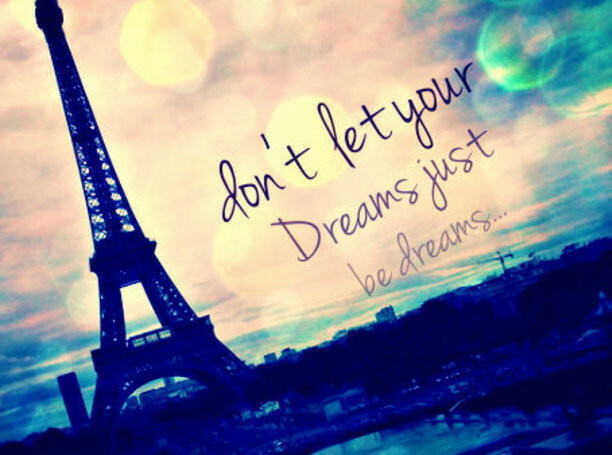 So never stop dreaming but never let your dreams fade!